The Cyber-Shot DSC-W570 is a competitive ultra-compact digicam in the sub $200 market. With a tiny frame that is packed with some of Sony's well-known technologies, the W570 has a lot to offer for a camera sporting a price tag of just $159 US or less. Read more in our Full Conclusion. 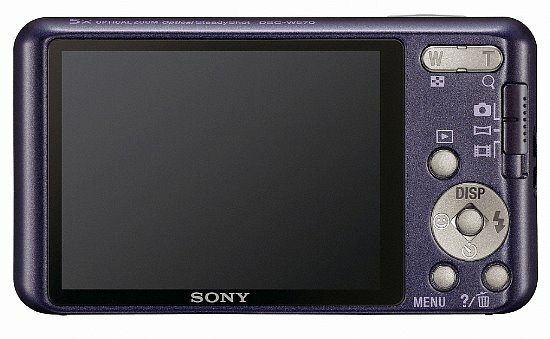 An all-new W-series will join Sony's line of affordable, yet feature-laden, Cyber-shot cameras for 2011. Their flagship model in the affordable W-series line-up is DSC-W570. This camera boasts a 16.1-megapixel sensor combined with a 25mm wide-angle carl Zeiss lens with a 5x optical zoom. The camera also boasts 720p HD video capture and a 2.7-inch LCD. While holding the "top of the line" spot, the W570 sports a very affordable price tag. Like all models in the new W-series of Cyber-shot cameras, the DSC-W570 includes Sweep Panorama Mode (which uses a CCD sensor to capture panoramas in one easy "press and sweep" motion), Optical SteadyShot image stabilization (to reduce blur), iAuto mode (which automatically optimizes camera settings for your shooting locales), Face Detection, and Smile Shutter technologies. Built-in help is also available via the "In Camera Guide" software, which allows users to search by keyword and/or purpose to find help topics and ease functionality. 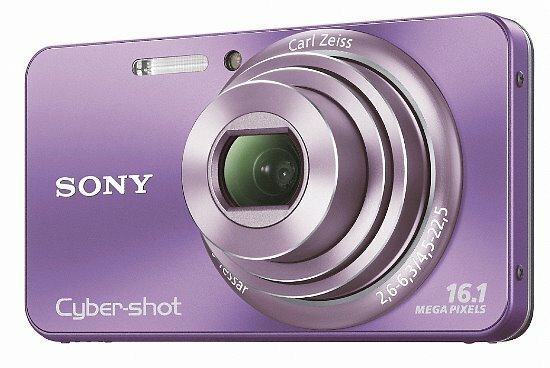 The Sony Cyber-shot DSC-W570 will is available now for $159.99 US or less. See our by box below for the most current online pricing.